The U.S. Department of Labor’s Occupational Safety and Health Administration (OSHA) has finalized new beryllium standards for general industry, construction, and shipyards to better protect workers from this toxic metal. The beryllium rule covers a relatively small worker population of approximately 62,000 workers. The final rule was published on January 9, 2017, and is scheduled to go into effect on March 10, 2017. Employers have one year after the rule goes into effect, to implement most provisions. 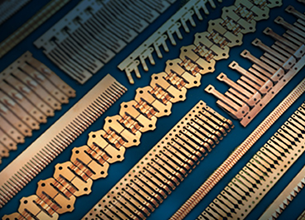 Beryllium is a lightweight but strong metal used principally to add strength, thermal stability, and other properties valued in the aerospace and defense industries. Unfortunately, workers can develop adverse health effects from breathing beryllium in dust, mist, fumes, or in other forms, or through skin contact with beryllium particulate, fumes, or solutions. It is important communicate the hazards of these chemicals to employees and always reference the safety data sheet (SDS) to determine content levels. Beryllium is classified as a human carcinogen by the US Department of Health and Human Services National Toxicology Program and the International Agency for Research on Cancer. Workers who inhale airborne beryllium in the workplace can develop a lung condition called chronic beryllium disease or CBD. Occupational exposure to beryllium has also been linked to lung cancer. Some workers may develop severe symptoms very quickly, while others may not experience signs and symptoms until months or years after their exposure to beryllium. Signs and symptoms of CBD can include shortness of breath, an unexplained cough, fatigue, weight loss, fever, and night sweats. The SDS for all chemicals should be consulted before working with products to determine the level of hazard. First, you want to identify the key products in your process and determine if they contain beryllium. If you have a good SDS management system, this should be easy enough to determine by referencing the SDS’. Second, determine if the activities you perform are exposing employees and at what level. This is often done through air testing. If your employees are exposed above the new levels, the new provisions for worker safety will apply. Visit OSHA’s Final Rule on Beryllium page for more information on the new final rule.